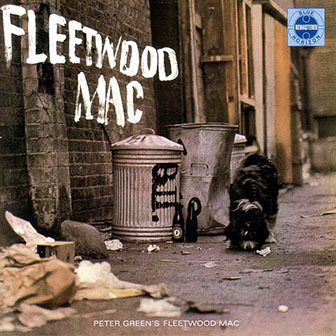 Fleetwood Mac's debut LP was a highlight of the late '60s British blues boom. Green's always inspired playing, the capable (if erratic) songwriting, and the general panache of the band as a whole placed them leagues above the overcrowded field. Elmore James is a big influence on this set, particularly on the tunes fronted by Jeremy Spencer ("Shake Your Moneymaker," "Got to Move"). Spencer's bluster, however, was outshone by the budding singing and songwriting skills of Green. The guitarist balanced humor and vulnerability on cuts like "Looking for Somebody" and "Long Grey Mare," and with "If I Loved Another Woman," he offered a glimpse of the Latin-blues fusion that he would perfect with "Black Magic Woman." The album was an unexpected smash in the U.K., reaching No. 4 on the British charts. = Richie Unterberger.